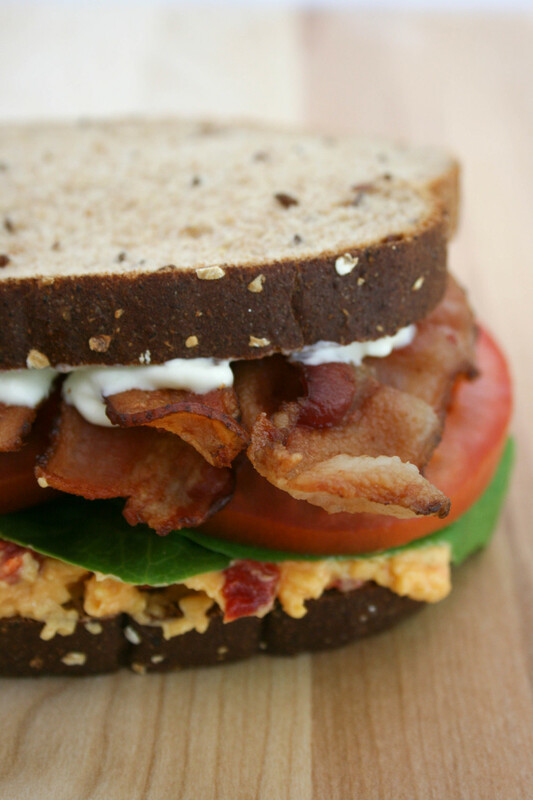 BLT’s are one of my favorite sandwiches. Adding pimento cheese to this classic, truly takes things to another level. Not only is this a tried and true sammie, it’s extremely affordable for a quick weeknight meal. 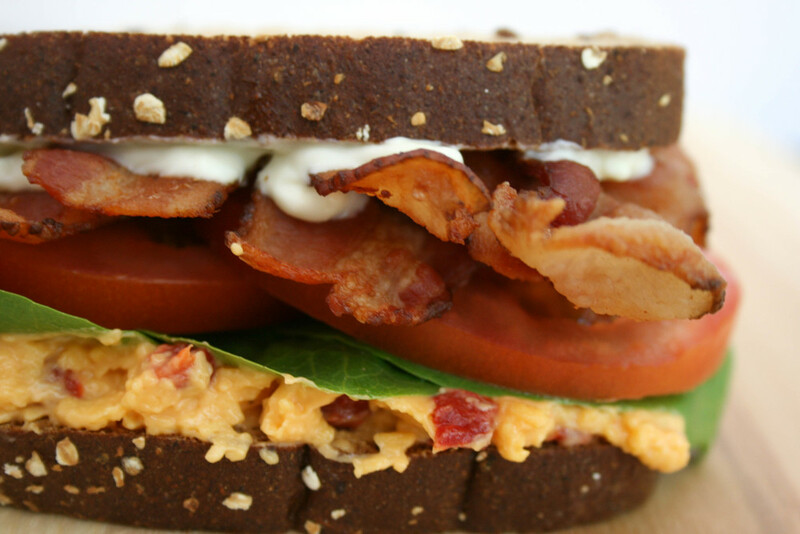 In my humble opinion, you cannot call yourself a true southerner without liking 1) BLT's and 2) Pimento Cheese. Pimento cheese is without a doubt a condiment in our house and we are always finding the next best thing to put it on. Which includes but are not limited to: scrambled eggs/omelets, crackers, fondue, fries, burgers, on a plain piece of white bread, celery, peppers, stuffed olives...I could go on for days. Because of my obsession with the stuff I will break down slowly how I incorporate this staple in my life in every way possible. Now you might look at this photo and question the green specks inside my Pimento Cheese, but learning how to perfect this simple spread from my amazing father, we've discovered that adding fresh jalapeño AND hot sauce gives it the kick everyone should want. Converting non-believers and mayo haters every. single. time. PIMENTO CHEESE FOR THE WIN!!!! !